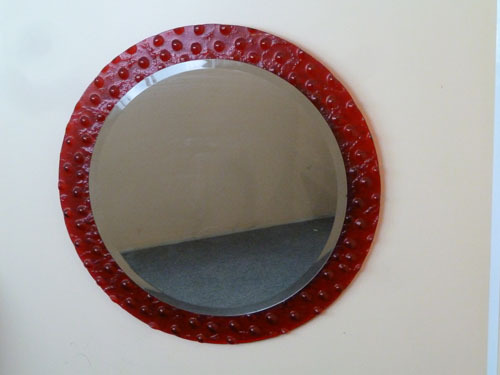 - SIZE 88 cm diameter mirror weighing about 14.kilo. - COLOUR Red slumped glass . 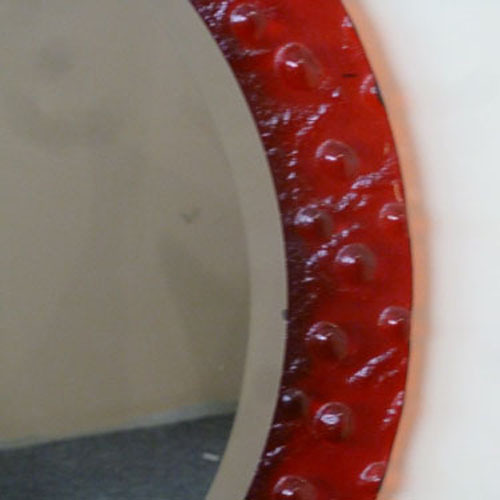 - ORIGIN The mirror was design and manufactured in Sydney By Slumped Glass Co. and the mirror purchased from pilkington and assembled here in sydney, using double coated mirrors from Pilkington.